Customer Thermometer is wonderfully simple solution to collect customer feedback particularly post customer support interaction. We integrate with Customer Thermometer via their API, fetching all responses periodically. To set up an integration please send your Customer Thermometer API Key and API Request URL to your Chattermill Account Manager or to our support team. 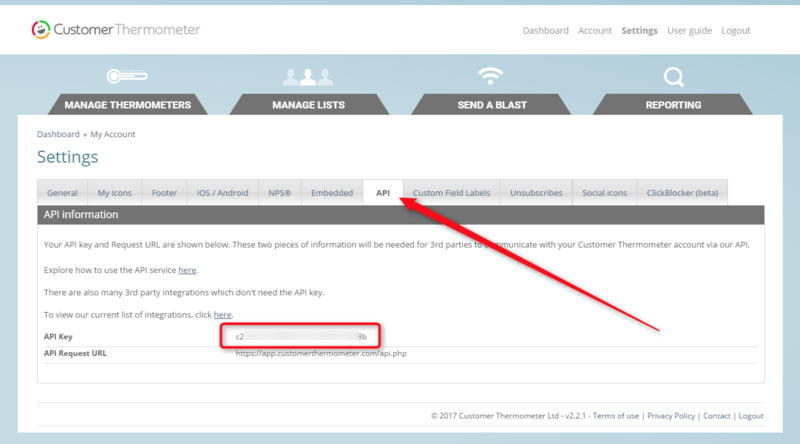 You can find your API Key via the Settings page (see screenshot below). Please contact Customer Thermometer support should you have problems locating it.